Raca Monastery (Rača) is the most visited site in Tara National Park, with ten thousands of visitors every year. 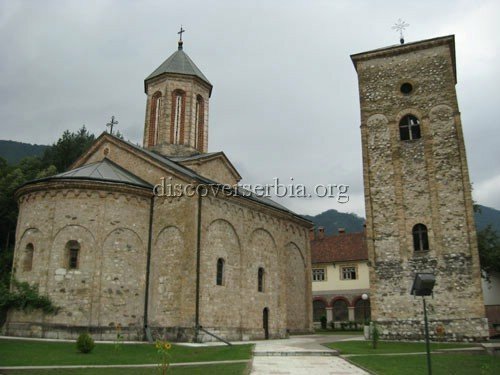 The monastery is situated in the vicinity of Bajina Basta( Bajina Bašta), a town in western Serbia, on the rank bank of the Drina river at the base of the Tara mountain. 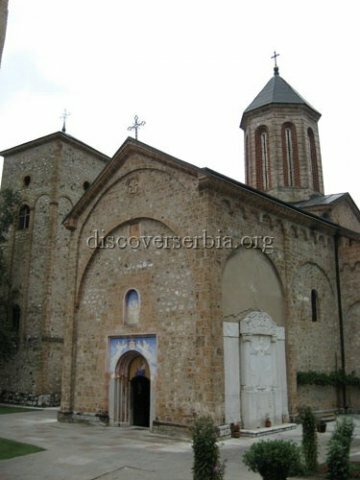 According to Serbian tradition, this monastery was founded by the Serbian King Dragutin (1276–1316). 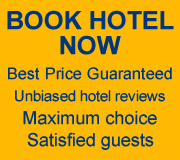 However, the first mention of it that we find is from 1516. 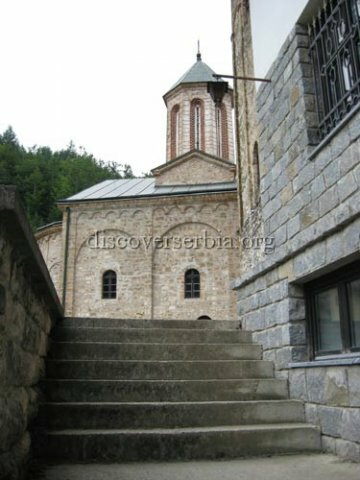 During the Turkish ocupation of the Serbian countries (from the end of the 14th to the beginning of the 19th centuries) monastery was several times burned down by Turks. Today churh building dates from 1623. It was an important centre for the copying of Serbian books. 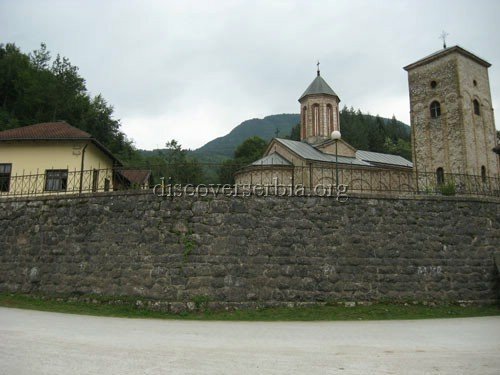 Starting from Raca Monastery , you can reach Ladjevac spring and the remains of Raca copying school at Banja, following a two kilometer longmarked track up the right bank of the river Raca. On both sides of the river there are picnic sites with tables and benches, the barbecue and drinking fountain. After a forty-minute walk through the beech forest you rich the wide cascades of Ladjevac spring. Very close to Ladjevac there used to be “Raca copying school” and a church dedicated to St. George, where ascets lived. Its remains are being explored by archeologists, who have found the foundations of the guest-house, together with the remains of monks’ cells.